Hello everyone & welcome back. This is such a super cool collection! 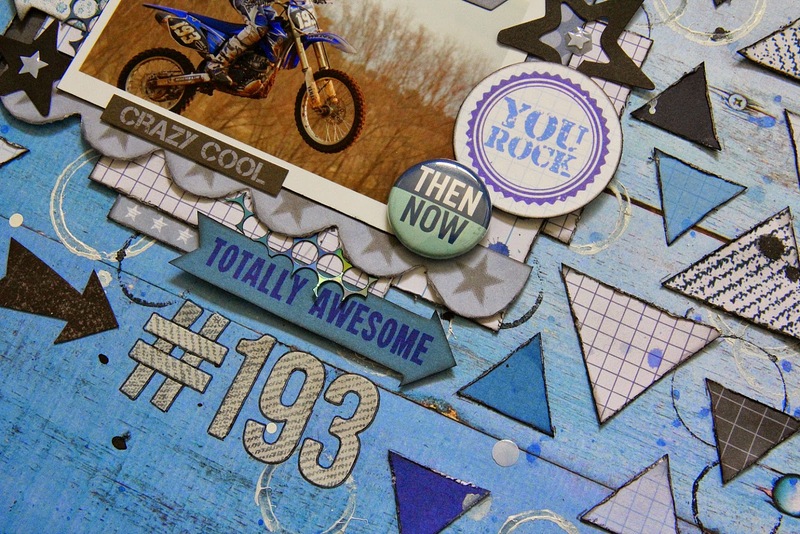 It is perfect for masculine pages...but would also suit any other themed layout as well. This time I've cut out a heap of triangles from the "Unique" paper & have scattered them on the background, with some home made stamping - using the ends of some cardboard cylinders that came from a roll of kitchen tidy bags! 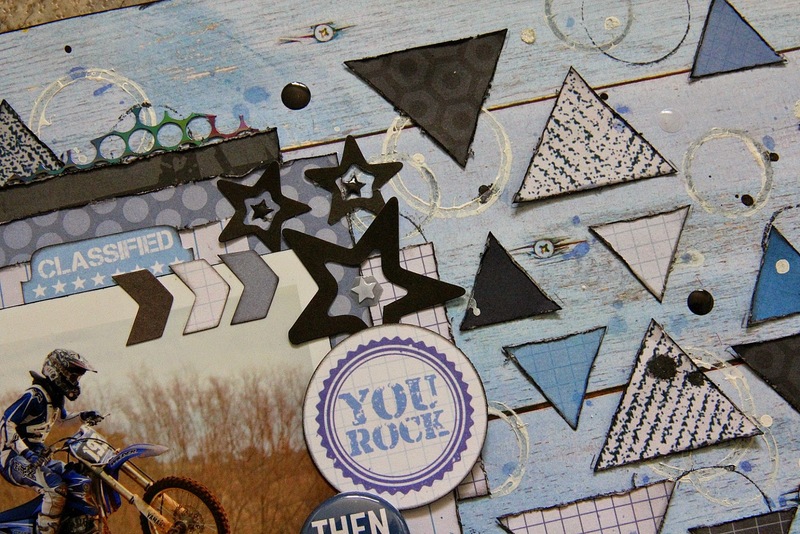 Here is a bit of a close up of some of the triangles...plus the awesome stars that I've cut from the Superstar Specialty diecut paper. 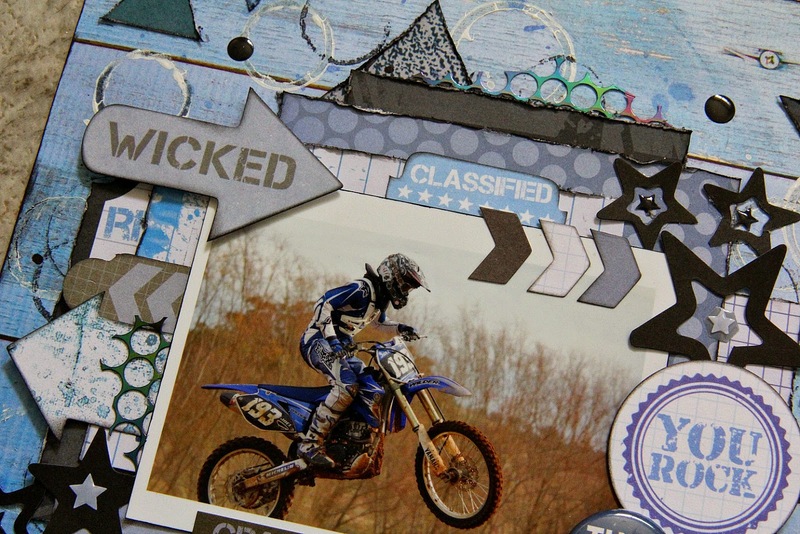 I've used a variety of stickers & collectables layered in and around the photo. 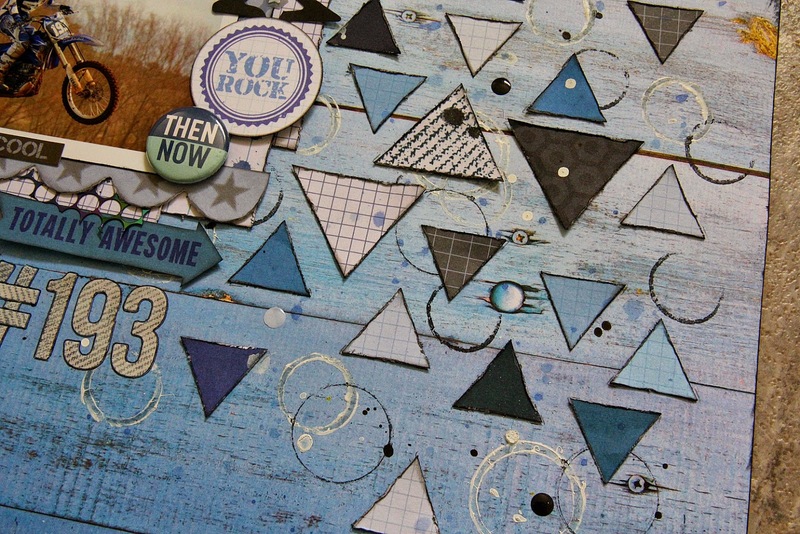 Here's another close up of the scattered triangles...and there's also some of the new Epoxy Stickers scattered in there as well. There are so many cool & awesome sayings in the collectables pack...they could even be used for a title, rather than using alphas. A fairly simple card (as is all of my cards!) 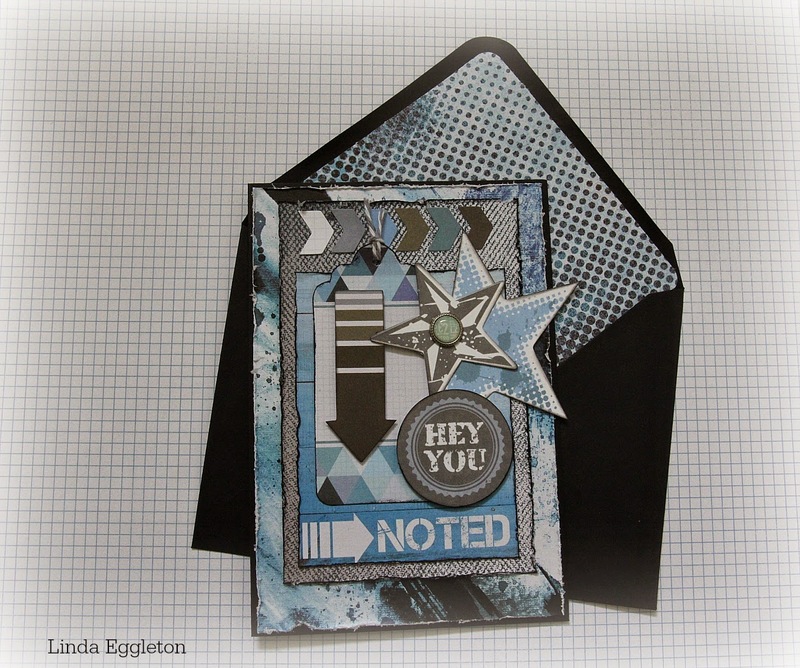 with a few layered papers, diecut strips & Collectables pieces. Thanks so much for dropping by today...I hope you've been inspired by this awesome collection! I will be back in a day or so with the last collection for this month....Close Up! 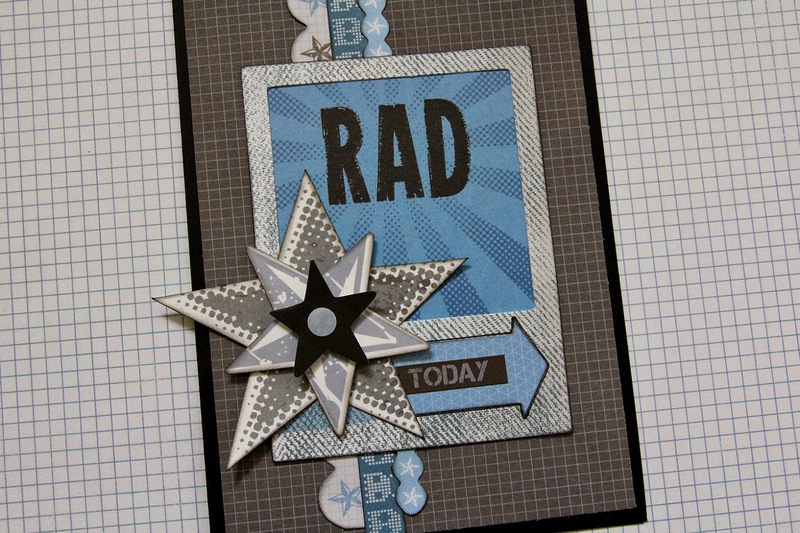 Love the cards...& that LO is fabulous! 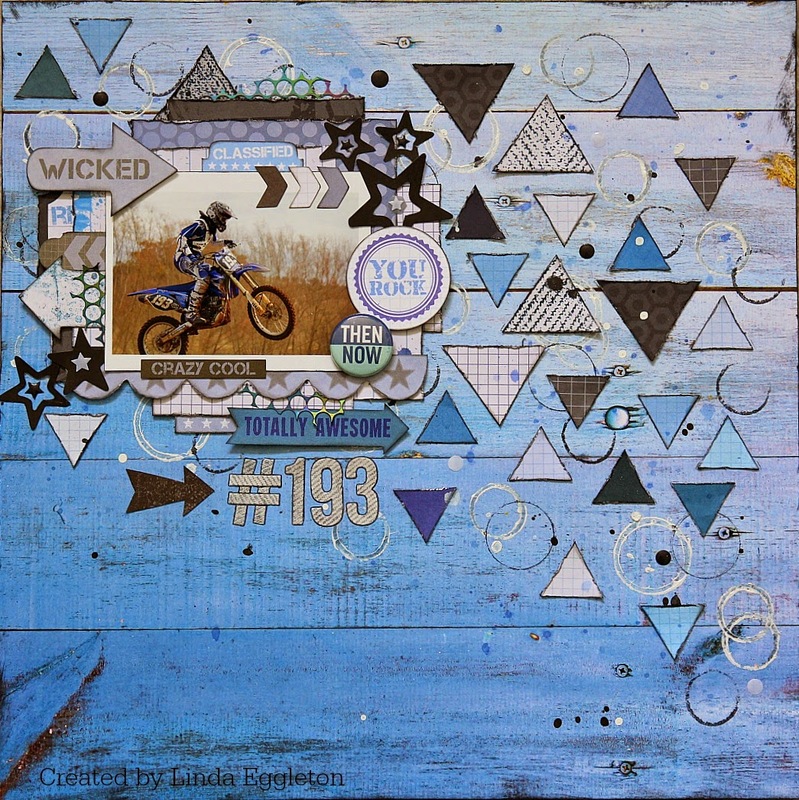 The triangles mixed with the circles is a fantastic mix....really, really drooling over that collection, too - loooove the colours!!! 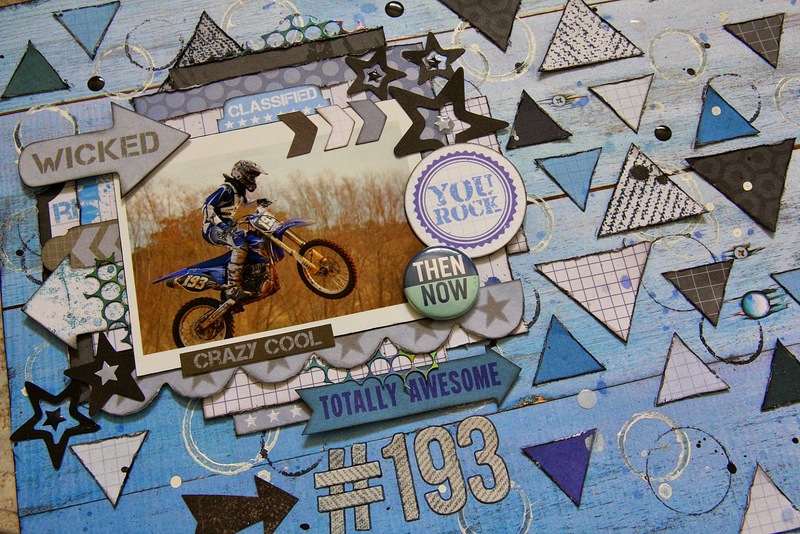 Fantastic layout...love those triangles...and the way you lay them on your background. Great masculine page. This is such a cool masculine layout and love the action photo. The triangles look fabulous. 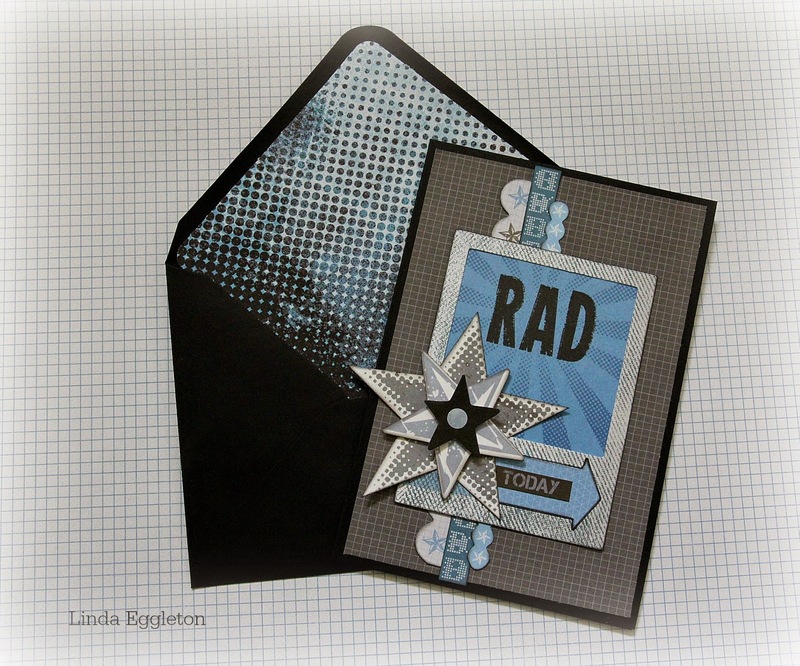 The cards are wonderful and I love the inset in the envelope. So pretty. Love to visit your blog. So full of inspiration. 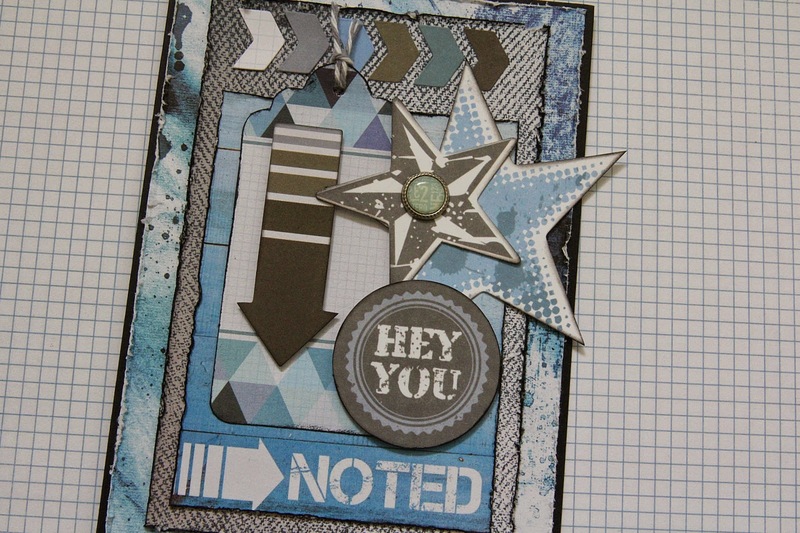 Brilliant layout - love the triangles. Lovely card too! !